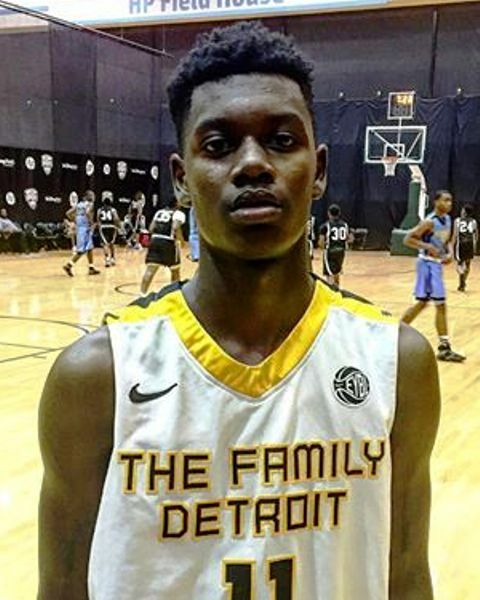 Michigan State struck big on the trail over the weekend as 2019 G Rocket Watts of Spire Academy (OH) by way of East Lansing (MI) verbally committed to the Spartans. Florida Atlantic struck on the trail last week as 2019 SF Carrington McCaskill of Renaissance (MI) verbally committed to FAU. Detroit Jesuit (MI) 2019 F/C Jalen Thomas came off the board over the weekend as the talented big many verbally committed to U-Mass. Louisville had a big week on the trail. First they secured a verbal pledge from 2019 G/F Samuell Williamson of Rockwall (TX). Head Coach Chris Mack also landed a verbal commitment from 2019 SG David Johnson of Trinity (KY). James Madison secured a verbal commitment from 2019 G of Mt. Pisgah (GA). They also landed 2019 F Michael Fowler of Greensboro Day (NC). George Mason struck on the trail over the weekend as 2019 G Xavier Johnson of Episcopal (VA) gave them a verbal pledge. Indiana State landed a verbal commitment from 2019 F Tre Williams of Woodstock Academy (CT). 2019 F Dakota Rivers of Windermere Prep (FL) came off the board with a verbal pledge to Florida Gulf Coast University. 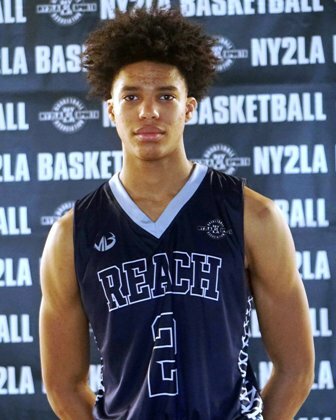 Head Coach Wyking Jones and the California Bears struck on the trail last week as the Bears secured a verbal commitment from 2019 F/C DJ Thorpe of Lake Travis (TX). Virginia checked in as well as up and coming 2021 G Carson McCorkle of Greensboro Day (NC) verbally committed to Head Coach Tony Bennett and the Cavaliers. USC Head Coach Andy Enfield continued his stellar recruiting haul in the 2019 class as junior PG Kyle Sturdivant of Norcross (GA) verbally committed to the Trojans. Oklahoma landed one of their top priorities last week as 2019 SF Jalen Hill of Clark (NV) verbally committed to the Sooners. Hill’s commitment came on the heels of 2019 PF Victor Iwuakor of Sulphur Springs (TX) verbally pledging to Boomer Sooner last week. 2019 SG Brandon Newman of Valparaiso (IN) came off the board with a verbal pledge to the Purdue Boilermakers. Tennessee took a huge step forward this past week when the Vols secured a verbal pledge from 2019 SG Josiah James of Porter Gaud School (SC). Duke, Clemson, and Michigan State were among the finalists. Washington Head Coach Mike Hopkins struck on the trail Tuesday as 2019 G Marcus Tsohonis of Jefferson (OR) verbally committed to the Huskies. LSU struck on the trail as well during the week with a commitment from 2019 G James Bishop of Mr. St. Josephs (MD). Connecticut secured a verbal pledge from 2019 SG James Bouknight of the MacDuffie School (NY). Oklahoma State struck big on the trail as one of their top priorities Avery Anderson of Northwest (TX) verbally committed to the Cowboys. The Bonnies landed a commitment from 2019 F Justin Winston of Putnam Science Academy (CT) who gave a verbal pledge to St. Bonaventure earlier in the week. One of the breakout stories of the summer came off the board as well as Loyola-Chicago landed a verbal commitment from 2019 G Marquise Kennedy. Kansas was on the board as well during the week with a verbal pledge from 2019 SF Christian Braun of Blue Valley Northwest (KS). Arizona struck on the trail Sunday as 2019 C Christian Koloko of Sierra Canyon (CA) verbally committed to the Wildcats. UW-Milwaukee Head Coach Pat Baldwin secured a commitment from 2019 PF Courtney Brown Jr. of East Ridge (MN). 2020 F Jamari Sibley of Nicolet (WI) continues to soar nationally. 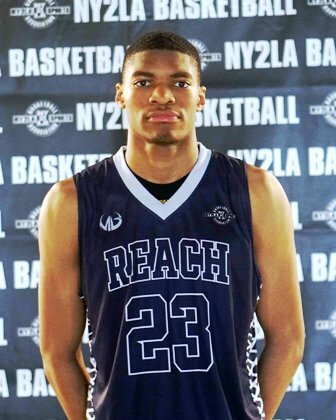 The talented forward added an offer from Rutgers this past week. 2021 F Jeremiah Graham of Nicolet (WI) started to take his seat at the table as well as the talented sharpshooting forward also picked up an offer from Rutgers this past week. 2021 F Michael Foster of Milwaukee Washington (WI) continues to elevate as well. The highly regarded sophomore has picked up offers from Houston, Texas A&M, and Minnesota recently. 2020 SG Desmond Polk of La Lumiere (IN) took unofficial visits to Iowa State and Iowa this past weekend. 2020 PF Ben Carlson of East Ridge (MN) added an offer from Ohio State this past week. 2021 SF Keon Edwards of Sam Rayburn (TX) picked up an offer from Texas A&M this past week. Marquette played host to 2020 SF Justin Lewis of Baltimore Poly (MD) on an unofficial visit this past weekend. 2019 SF Seth Lundy of Roman Catholic (PA) shortened his list to Virginia Tech, Louisville, Penn State, and Marquette. 2019 C Will Baker of Westlake (TX) continues to be a top priority for schools. Stanford was the latest to check-in on him last week. Arkansas offered 2020 G Bryce Thompson of Booker T. Washington (OK) this past week. 2021 PG AJ Neal of West Oaks Academy (FL) continues to elevate nationally. Kansas State and SMU extended offers to him this past week. 2019 SF Tujautae Williams of Orr (IL) added an offer from UW-Milwaukee. 2020 G Caleb Love of Christian Brothers College (MO) added an offer from Virginia this past week. 2019 PF David Skogman of Waukesha West (WI) continues to become a hot commodity. He added an offer from Texas Tech this past week. 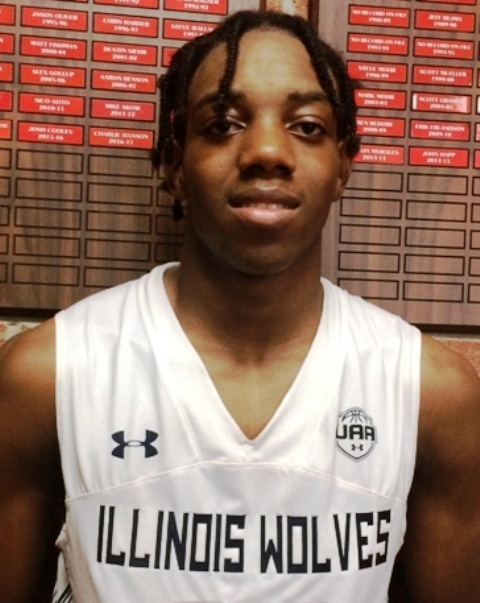 2019 G Marquise Kennedy discussed his commitment to Loyola-Chicago and more – CLICK HERE to learn more about this talented guard from Illinois. 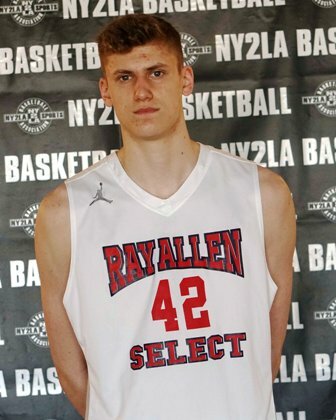 2019 PF David Skogman of Waukesha West (WI) is quietly making a lot of noise – CLICK HERE for the latest on the soaring big from Wisconsin. 2019 PF Christian Wilbourn of Normal Community HS (IL) is one of the biggest sleepers on the board. CLICK HERE for more on the big man from Illinois. 2020 PG Michael Saunders Jr. continues to produce at a high level – CLICK HERE to read more about the talented Indiana native. Tryouts for the Phenom University boys 15U-17U Nike EYBL & NY2LA Association teams will take place from 12-4 pm on September 29, 2018 at Homestead High School in Mequon, Wisconsin. E-mail phenomubasketball@gmail.com for more information.